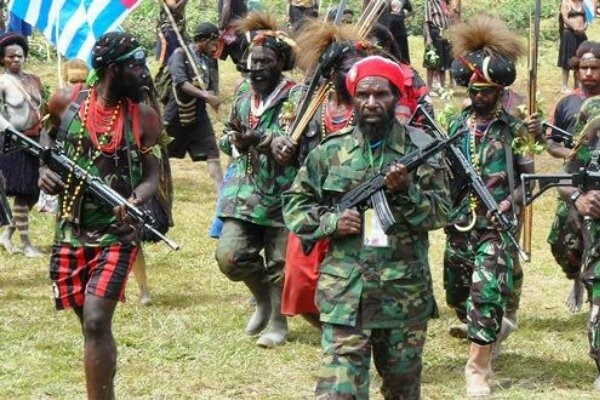 Within a month, the Indonesian Armed Forces has succeeded in rescuing hundreds of residents in two areas of Papua, held hostage by armed groups from the separatist movement of the Free Papua Organization. The hostage rescue operation is not an easy matter. Because, the TNI must berjibaku with fierce nature of Papua, and of course the threat of armed groups. A soldier is killed in this humanitarian task. According to the Head of Information of the Cenderawasih Military Command XVII, Lieutenant Colonel Mohammed Aidi, during the rescue operation, TNI was not only faced with threats of real danger in the field of operation, but also the threat of false news aliases hoax spread OPM through various social media. One of them is about the hoax of TNI atrocities against the people of Papua. "There were dead victims of photographs shot and loaded on social media, saying that it was a victim of TNI violence, it was a lie spread by the OPM," Aidi said. Aidi said that not only that, sympathizers of OPM also often slander TNI with photographs of Papuans who died in a miserable condition in a traffic accident. "The frequency they are doing, victims of traffic (traffic), tribal war, they upload in the media, then written 'Victims of the TNI Massacre' This is really a lie.The fact is there is a TNI with a machete, 'Aidi said. Aidi said, the OPM deliberately raised the issue of human rights crimes in every news hoax spread, to attract international attention. One of them is the issue of genocide massacre. "Always to the media is spread rumors about genocide, the victim up to 300's thousand.the fact where where the grave where," said Aidi. During this time, Komnas HAM and human rights activists who entered Papua, never investigate the issue of lying to the field. Whereas the TNI has expressed readiness to open the alleged inquiry. "The TNI is ready to prove that there are no human rights violations in Papua, let's investigate together, the National Police, Komnas HAM and openly," said Aidi. In recent times, security conditions in Papua have been heating up. Especially after the war ultimatum issued by West Papua National Liberation Army (TPNPB). In fact, the TNI and Police have held silent operations to quell the group dubbed the Armed Separatist Kriminal Group (KKSB). The statement of ultimatum of the war was announced by Major General G. Lekkagak Telenggen, after being inaugurated as Chief of Operations Staff of National Command TPNPB, on 2 February 2018, at Headquarters Kimagi, Yambi District, Puncakjaya, Papua. The ultimatum reading was uploaded TPNPB in its official YouTube account. In the video recording, the ultimatum was read officially with the background of the Morning Star flag and was escorted by dozens of OPM members armed with the barrel. "War should not stop, war must be without international intervention in Papua, war ultimatum, I have announced, so war should be done anywhere in Papua Provisions, the rules of war we have to spend it, Commander of the TNI, Polda should be subject to the rules. TPN throughout Papua, the war should be based on this rule and our goal is to fight the war against the TNI, the Police are already listed in the rules of TPN, "said Lekkagak.